The presidential election will be held on November 8, 2016. That’s when Americans all over the country will go to the polls to vote for President. 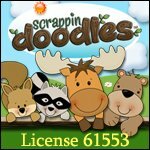 If you are a citizen of the United States and eighteen or older, you have the right to vote in local, state and national elections. Who will be the next President of the United States? 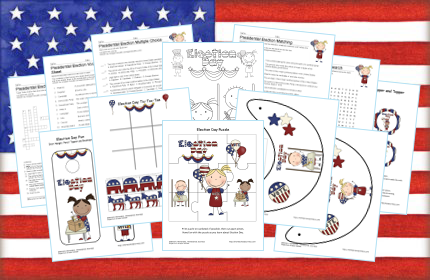 Here’s a set of Presidential Election themed printable activities for your kids. 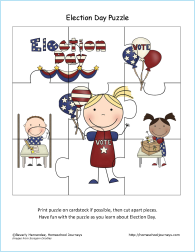 They’ll learn terms related to the election, make a puzzle, play a game of Tic-Tac-Toe and make an Election Day Visor they can wear when they go to the polls with their parents.